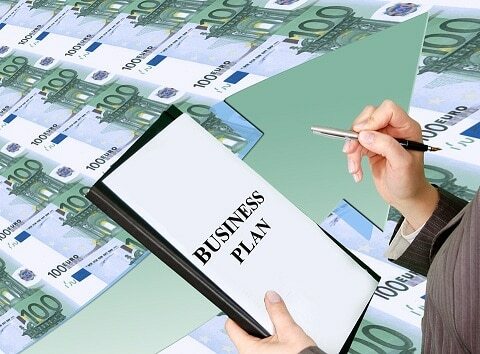 One of the most important documents you should have is a business financial plan. A carefully crafted, well-thought out plan can help you determine your current, and future cash needs. In addition, most businesses will be unable to borrow money, factor contracts, or establish lines of credit unless they can provide a financial plan to their lender. Current Financial Status– business assets, cash on hand, outstanding debts, and outstanding accounts receivable should be carefully recorded. Once you have completed recording all items, you should create a balance sheet showing your current financial status. SCORE (Service Corps of Retired Executives) has a template designed for small businesses, but may be used for a business of any size. Prior Financial Statements– unless this is your first full year in business, your financial plan should also include your prior years’ financials. In most cases, a completed tax return will suffice, but it is also a good idea to have the complete breakdown of the monthly income and expenses available for review if requested. Always keep your projections realistic; a lender will ask you the basis of your projections and you should always be prepared to explain why you have chosen the numbers you did. Remember, things like fixed costs of rent, insurance, and real estate taxes may increase over time; take this into consideration when preparing your projections. This section should be based on your current income, expenses, etc. Do not include any projections that would include funds borrowed. Develop a Cash-Flow Statement – using your financial analysis as a starting point, you will also need to develop a cash flow statement. This should cover the same period as your financial analysis but contains additional information. When preparing these statements, you should take into consideration the amount of money you are planning to borrow, changes in staffing, and any new investments you plan to make in equipment, or inventory. If you are planning on pursuing new contracts, any projects you anticipate will be successful should be carefully recorded as well. Breakeven Analysis – hopefully before you seek financing, your business is already profitable. However, if it is not, you should develop a breakeven analysis after you have developed the other parts of your financial plan. This is important; a lender will want to be assured their investment will bring your business towards profitability. When creating a financial plan, it is important to keep in mind, it is not only useful for lenders. Business owners can, and should review their financial plans from time to time to determine if they are on track with projections, or if they need to readjust their projections. Looking at where your business finances were in the past, and what you anticipate doing in the future can help you achieve realistic goals, and help you set new goals for your business. Business owners who set realistic goals, and have ideas for meeting those goals, are more likely to find long-term success. Financial plans for your business need not be complex; however, they should provide actual data.